Vision Christian Media is a non-profit charity that has been working hard to bring the good news of the Gospel to Australia for over 30 years. Originally known as UCB Australia, we were a key driver in establishing over 30 independent Christian Community radio stations during the 1990s before we became a broadcaster and publisher ourselves. Today, hundreds of thousands of Aussies across the country turn to us daily for encouragement, good company, support and Biblical perspective. We'd love to help connect faith to your life, too. The Vision Christian Radio story is amazing. Since our first broadcast in 1999, our growth has been a phenomenal testimony of God's provision. Today Vision Christian Radio now has over 700 FM and AM relay stations nationwide covering major cities through to outback towns. Each day we broadcast great music, interesting and engaging conversations, talkback, encouraging real life stories, Biblical perspectives on life, culture and current events, news and so much more - including solidly Biblical programmes from esteemed speakers such as Ravi Zacharias, Charles Stanley, Jeff Vines, Chuck Missler, Greg Laurie and many more. Our heart is for every Australian - for the 'forgotten' isolated communities of Australia as much as for people who live in well-serviced cities. For those not in range of one of our FM or AM stations, it's easy to listen through the internet. Just click on the LISTEN NOW button at the top left of this page or download the free app for phones or tablets (Apple, Android, Windows Phone, Kindle Fire). You can also tune in via satellite anywhere in Australia on either the VAST platform or Optus D2. 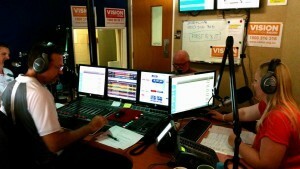 Like to help bring Vision Christian Radio to even more Australians? There are plenty of places that don't yet have reception — to find out more, phone us on 1800 00 777 0 or click here. It's not as hard as you might think! Visit the Vision Christian Radio site. Much loved by hundreds of thousands of Australian Christians, The Word for Today is a helpful daily devotion available in print, by email, on this website or in our app. It's written by Bob and Debby Gass. Bob started his devotional writing in 1992, using inspirational material from forty years of involvement in Christian leadership as well as from the Biblical principles instilled in him by his mother. We estimate that well over 200,000 people read each edition throughout Australia. In addition to the nearly 100,000 complimentary printed copies, another 12,000+ people receive these enriching devotions by daily email. Many more people access them through our free app. We do all this free of charge through God's provision via the generous donations of our supporters. The Word for Today is successfully instilling in readers the habit of searching the Scriptures daily. Christian or not, all readers are provided with Bible-based guidance and encouragement. Visit The Word for Today site to read today's devotion, and to sign up for the printed or email version. Or call us on 1800 00 777 0 to talk to one of our friendly team. Providing trusted resources for the whole family, Vision Christian Store carries a range of books, movies, audio CDs and DVDs for Bible study and practical understanding of life through the lens of the Bible. Key ministries represented include Koinonia House (Chuck Missler), Harvest Ministries (Greg Laurie), Bob Gass, Ravi Zacharias, the kids animated 'Superbook' series and more. Through Vision Christian Store every Australian can have access to resources from some of the world's best Christian teachers — including those living in isolated communities, far from a Christian bookstore. They are often following up from something they heard on Vision Christian Radio or valuable principles discovered in The Word for Today. Our store provides a convenient way for them to get hold of these quality and helpful resources. There's a lot of product out there that calls itself 'Christian' but may have questionable Biblical value. We don't carry any old thing — all our products are carefully chosen for their quality with an emphasis on relevance and spiritual integrity. 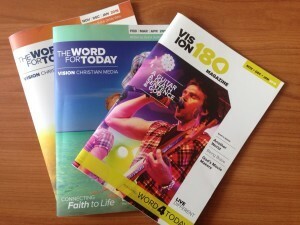 Selected products from our current catalogue can be found advertised in The Word for Today and Vision180 Magazine. You can browse or full range at our web store, or call 1800 00 50 11 and chat with our friendly team who can help you find Christian resources to help grow your faith. Visit Vision Christian Store site. Following Jesus is not an easy task, especially for young people surrounded by a culture bend on distracting them off the path to His Kingdom. It takes some radically different thinking — doing a 180 on today’s culture to embrace the far better life God has in store. Vision180 is helping young Australians understand what it means to think Biblically, using their language, music and more. Vision180's catch cry is "live different" - every day we remind young people about who God is, what He has promised, and how He wants us to live. Vision180 is a positive force against the constant negative drone of the world. Vision180 Magazine features articles and daily devotions young people love to read - available in print, website or by daily email. Vision180 Radio is a 24/7 wellspring of encouragement, challenges and perspective through music and fun - available online and in our app. Our desire to see young Australians embrace that transformation and become absolutely passionate followers of Jesus Christ who know how deeply He loves them — and then for that love to spill over to everyone who crosses their path! And even for you to figure out the calling He has for their life. Visit the Vision180 site to experience Vision180 for yourself - sign up for the printed magazine or email devotions at the site, or call us on 1800 00 777 0 to talk to one of our friendly team. Vision Christian Prayer offers prayer support to thousands of Aussies every month. Some are facing a crisis, others are in the valley of decision. It's great to know that there are caring people ready and waiting to pray for us in that hour of need. Our prayer team is made up of individual intercessors and church teams and around Australia and can be accessed any time by phone, text, email or letter. Jesus tells us that He cares so much about us that He even knows the number of hairs on our heads (Matthew 10:30). Nothing is too big for God to overcome and nothing too small for His attention. Whatever your need, we have people from churches around Australia who are willing to confidentially pray for your specific needs. Our key prayer values are: BELIEVE, HAVE FAITH, BE SPECIFIC, PERSIST. Visit the Vision Christian Prayer site if you would like us to pray for you, to join the volunteer prayer team or to find out more about how we operate. Vision Christian Tours has been leading tours to the Holy Land for over 10 years. These are life-enriching and life-changing experiences! Those who have come with us to Israel report a deeper sense of what God has done in the past and how He can impact their lives today. 'A life-changing experience that has deepened my faith and brought the Bible to life' is a common comment. 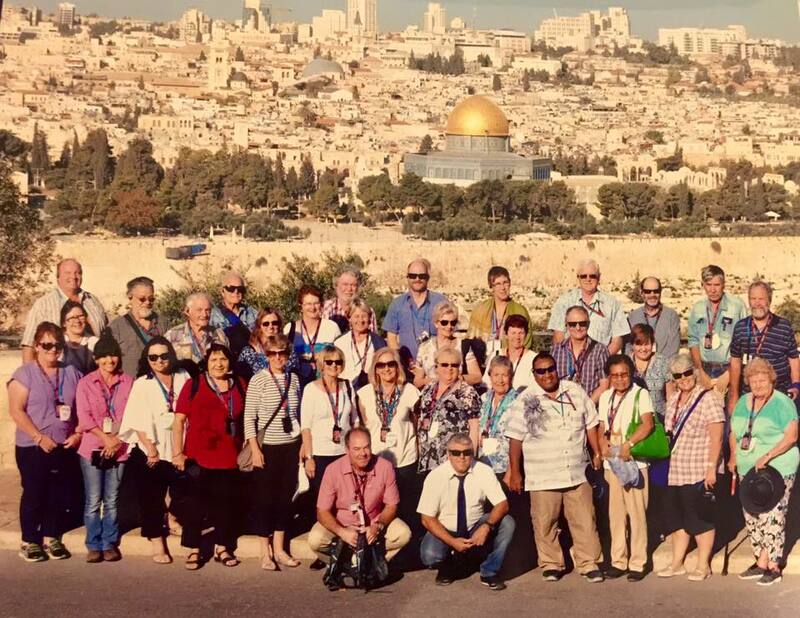 Our Israel tours are hosted by two experienced and passionate guides – Ian and Mandy Worby – and we offer pilgrimages to the Holy Land every year. On each tour, we work alongside local, professional messianic guides, who provide a detailed and informative commentary. Every place we visit is a place of Biblical significance, and we run our tours at the right pace so you not only learn the history but experience it, too. For example, we visit the Garden of Gethsemane and walk amongst the olive trees that are old enough to have witnessed Jesus' prayer and betrayal. We also hire a private garden where we can take communion together and spend time alone in prayer. Tours bookings are organised through our travel agency specialists, Olive Tree Travel. Visit the Vision Christian Tours site to find out more.